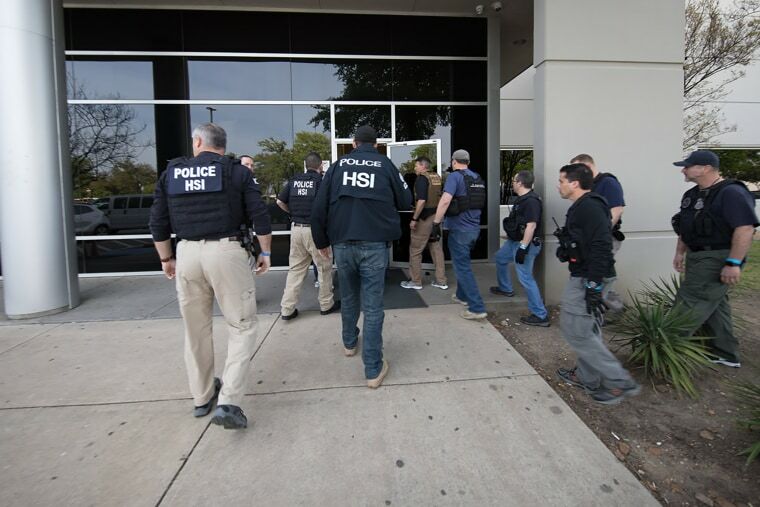 On April 3, 2019, Immigration and Customs Enforcement (ICE) conducted the largest raid of an employer in over 10 years at CVE Technology Group, an Allen, Texas electronics repair company. During the raid, ICE detained more than 280 people suspected of being undocumented immigrants. Approximately 125 employees were not detained as they were U.S. citizens, green card holders or authorized to work. At the same time, ICE agents executed a federal search warrant at the business. In January 2019, ICE served a Notice of Inspection on CVE Technology Group in order to audit the employees’ I-9 forms. Apparently, the audit was based upon tips of a large number of undocumented workers at the CVE facility. As a result of the I-9 audit, ICE believed there were criminal violations, such as falsifying immigration paperwork for some of its employees, occurring at the facility. CVE operates the largest Samsung private service center in the United States providing warranty repairs and device assembly for Samsung devices sold by T-Mobile and AT&T. Companies like Samsung seek to control as much as possible of the repair, aftermarket, refurbishing, and end-of-life of their devices. Thus, it only authorizes repair at a few closely-vetted outfits. The result is a centralized model in which any phone that requires anything more difficult to fix than a screen or battery replacement is shipped back to a manufacturer-vetted facility like CVE. This close relationship between Samsung and CVE has been confirmed in the court filings. CVE’s lawyers state that “CVE’s employees are trained and instructed by Samsung with a Samsung supervisor/engineer present at CVE’s facility at all times, such that the mobile devices CVE assembled are genuine Samsung products and are not counterfeit.” Although CVE and Samsung have a close working relationship, this does not mean Samsung knew that CVE was relying on undocumented employees. ICE said that all those detained would be interviewed "to record any medical, sole-caregiver or other humanitarian situations. In all cases, all illegal aliens encountered will be fingerprinted and processed for removal from the United States. Of the 284 people detained, 174 were released for humanitarian reasons, such as being a sole caregiver, but were issued a Notice to Appear before an immigration judge. 110 remain detained in custody. Of the 110 immigrants still detained, nine had illegally re-entered the U.S. after having been previously deported and eight had already received final orders of removal. This raid is approximately the 18th one since ICE renewed raids in April 2018. Many raids were the culmination of an investigation, which began with a Notice of Inspection to audit the company’s I-9 forms. If you want to know more information on methods to defend yourself from workplace raids and other issues involving employer immigration compliance, I recommend you read The I-9 and E-Verify Handbook, a book I co-authored with Greg Siskind, and available at http://www.amazon.com/dp/0997083379.